Last time we saw a similar deal over at Rakuten, they were only discounted down to $265, making this is the lowest price we've ever seen for these headphones. 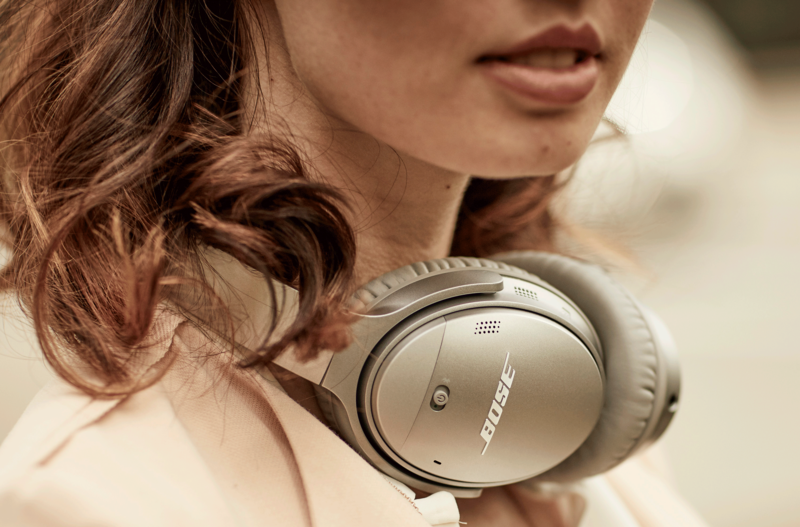 Bose's QuietComfort 35 II is light and comfortable, but it doesn't skimp on features, with an advertised 20-hour battery life, high-quality sound, and that snazzy Assistant integration we mentioned, all of which sets these cans apart from the standard selection. 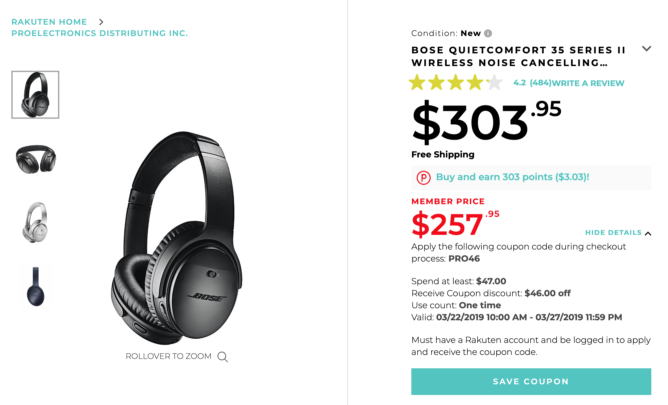 You'll need to make sure that you use the coupon PRO46 during checkout, and you'll have to have a Rakuten account to use it, but the process is not particularly difficult. In fact, if you visit the product listing and you aren't signed in, there will be a prompt on the page to save the coupon with a redirect to log in or create an account, setting the promotion aside for later checkout. I would urge you to act fast, though, as one of the three color options has already sold out, even though the coupon discount is set to last until the 27th. At the time of writing, both Black and Silver are still available, so don't wait too long.